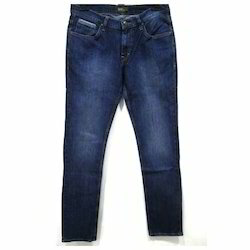 We are a leading Manufacturer of branded jeans, mens designer jeans, mens rugged jeans, surplus mens jeans, mens stretch jeans and fashionable mens jeans from Ahmedabad, India. 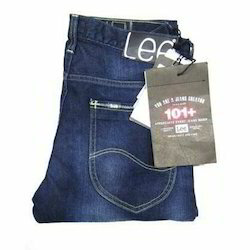 Keeping in sync with the current fashion trends, we are occupied in providing an optimum quality Branded Jeans. 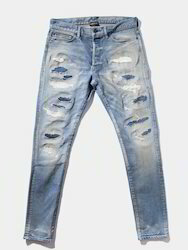 We are offering Mens Rugged Jeans to our clients. 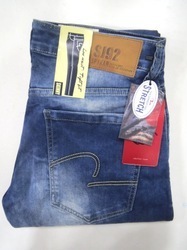 We are offering Surplus Mens Jeans to our clients. Backed by our rich industrial experience in this domain we are devotedly engaged in offering premium quality Mens Stretch Jeans. By utilizing skills of our creative designers, we are engaged in offering an interesting collection of Fashionable Mens Jeans. Under strict supervision of our skilled professionals, we are offering a distinguished collection of Mens Denim Jeans. Under strict supervision of our skilled professionals, we are offering a distinguished collection of Mens Jeans.